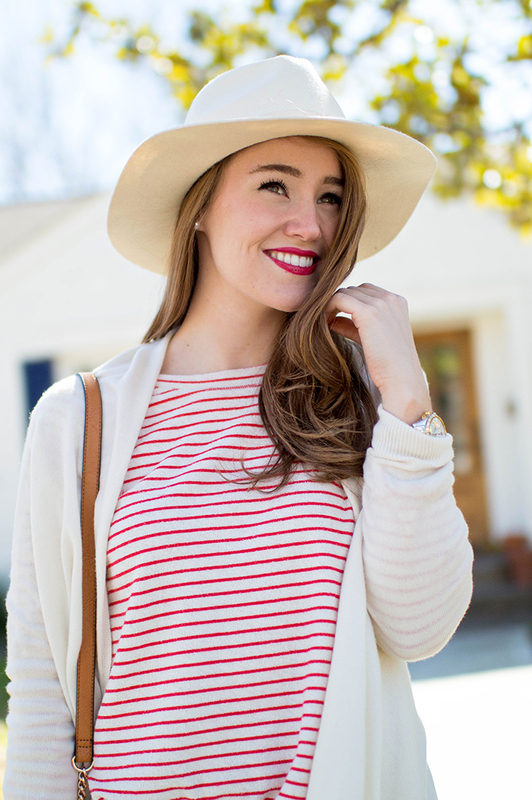 I love every detail of this casual but completely classic look, starting with the timeless red striped top! I’ve owned this sweatshirt for a little over a month now, and have gotten so much use out of it. 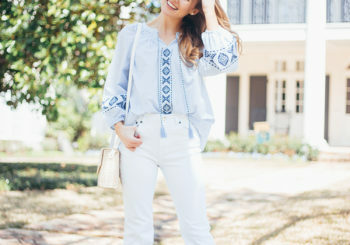 It’s the easiest, most comfortable thing to throw on with jeans, and instantly makes a chic ensemble. 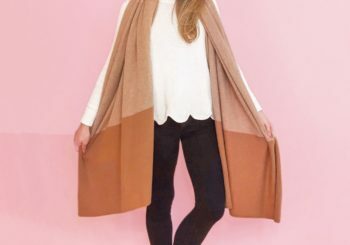 I bundled a beautiful Vineyard Vines cardigan over it, and kept accessories simple with tan wedges and crossbody. (My new obsession, as it looks just like this Celine style!) 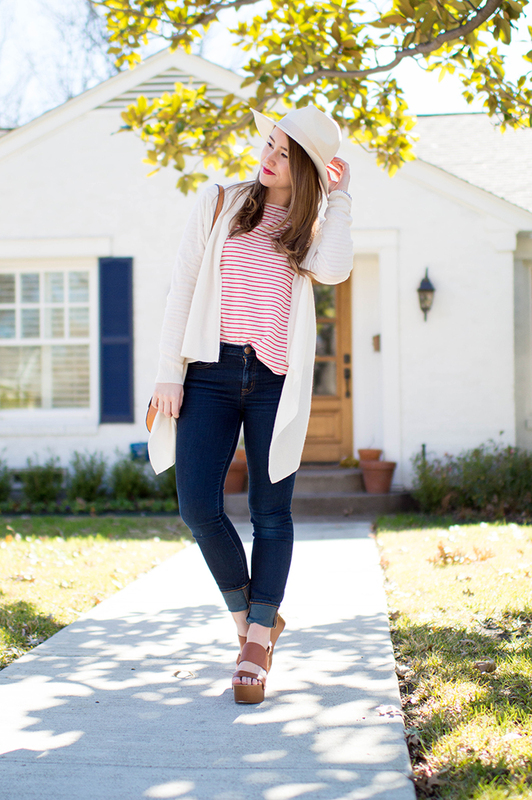 Swap out wedges for ballet flats, and switch out the hat for a high ponytail and you’ve got the perfect cozy, cute weekend outfit! Some friends and I are getting together for brunch and kickball this Saturday… thinking I should volunteer to be sideline cheerleader so I can stay in this all day? Love this! It makes me so excited for spring. 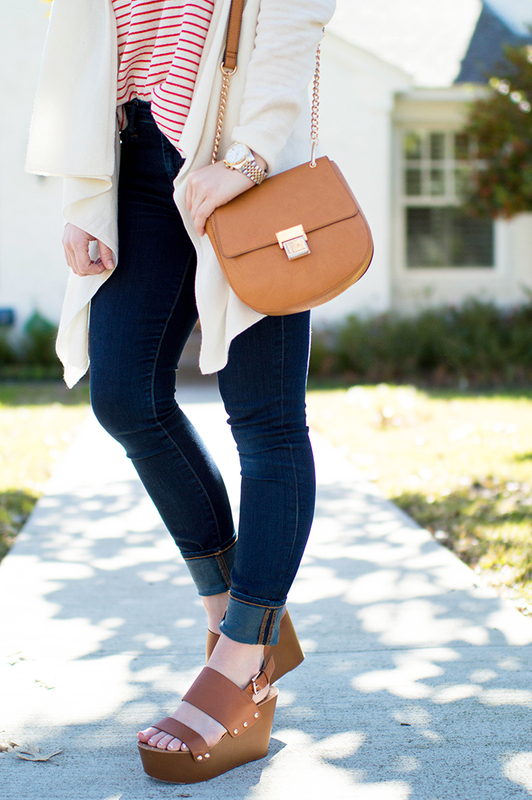 I love the basic brown wedges you’ve paired with this outfit. So cute! Loveeee this outfit! Totally something I would wear! 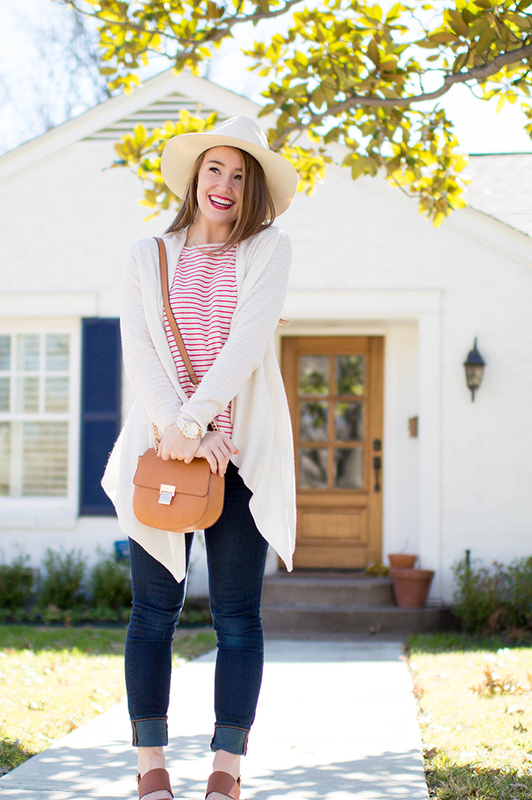 The wedges + stripes + casual crossbody are perfection! I cannot wait until some of that weather makes it up north! So darn cute!!! Love the hint of nautical. What a great look for the “in between” weather! This outfit is so cute, Kate! I love the color of the stripes on your shirt! 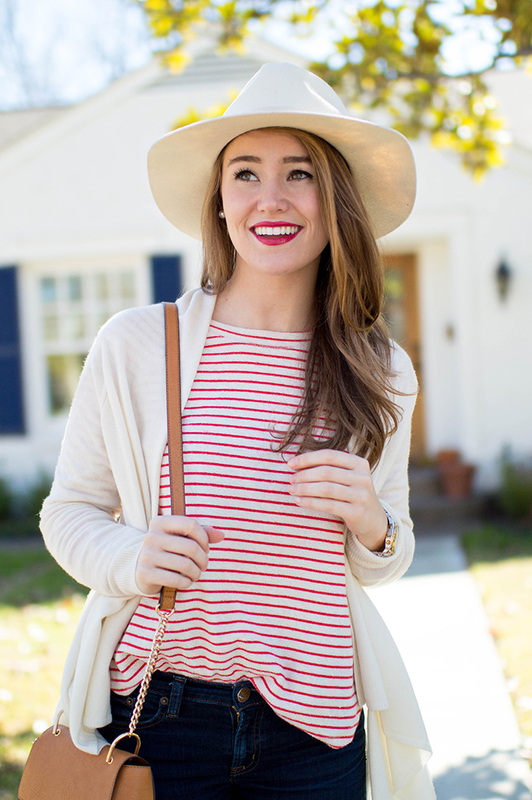 Love how the red stripes contrast with the light colored hat and sweater. I am ready for Spring too! We are having similar weather here in So Cal! That quote totally applies! 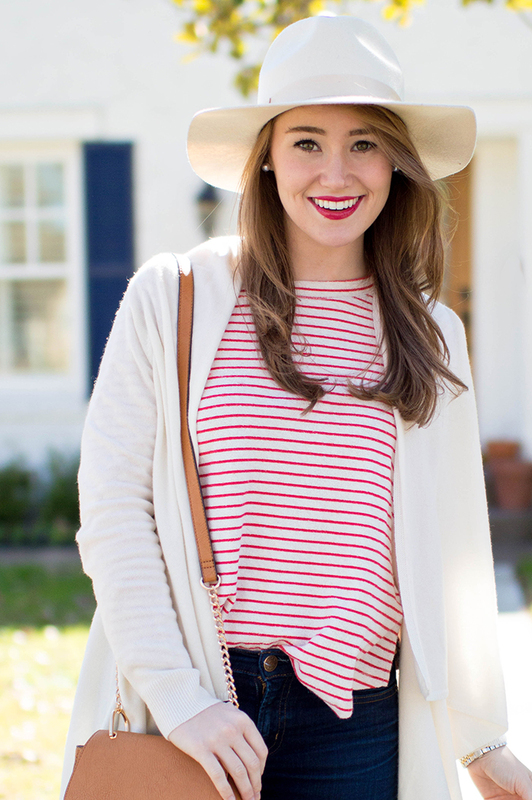 LOVE the cream hat and red lip combo! I have no idea why I always thought Dallas was a snowy winter state. Anyway, your look is amazing.